1957 Dodge 2dr Coronet Lancer D500...Home! Subject: 1957 Dodge 2dr Coronet Lancer D500...Home! in Upstate NY and I'm in AZ...it was/is an Estate sale ..the story goes that the owner Lou Faust (some on here knew him through the Nat' DeSoto club? )..Lou bought the car new in 57...her color scheme is black body white fins and roof with red/black interior..optioned with the single 4bbl 325 Hemi. Lou drove it until 1966 and then backed it into a barn to change the tires on her...that's the last time the car was touched! ..i have about 75 photo's of when it was in NY...but i'll be taking a bunch more once i start cleaning her up...from what i saw this morning before heading to work was the 1966 NY reg' tag on the windshield and a 1966 newspaper on the front seat...first thing I need to do is dry her out the mold inside is a bit nasty! ...once i get the photos resized i'll start posting them ..and her progress from here on. Subject: RE: 1957 Dodge 2dr Coronet Lancer D500...Home! Location: Lower Mainland BC Congrats. Nice find. I would struggle to NOT pull those plastic seat covers off to see what it's like under there for sure. BUT probably better to leave them on until you do some interior cleaning. Location: Falcon, CO Great find! It even has the Custom Coronet (Sport) interior. Location: Whetstone, Arizona It's a 315? For 1957, a Dodge brochure clearly stated that the “Super D-500 Engine” was “available at moderate extra cost on all models... Full hemispherical combustion chamber with double rocker arms. Compression ratio, 9.25:1.... 325 cubic inches.” It was rated at 310 hp and 350 lb-ft and included dual exhausts, heavy-duty double breaker distributor, heavy-duty air cleaner, and dual four-barrel carburetors. The “D-500 engine” was also sold, “at little cost on all models. All specifcations same as Super D-500 except: Horsepower, 285 @ 4800 rpm. Torque, 345 lbs ft @ 2800 rpm. 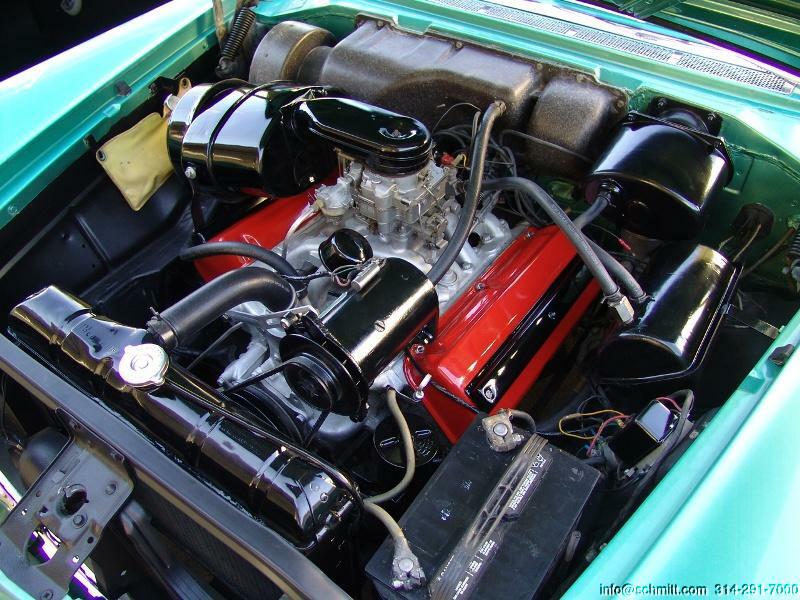 Single 4-barrel carburetor.” (The Super Red Ram was 260 hp and 335 lb-ft.)"
Location: So. California Looks like a great find. Congratulations! What are your plans for it? I'm happy to see the fender skirts on the seat and not on the car. My 57 Royal's price jumped from $2712 list to $4095 with the D500 option box ticked off.... (i have the sales invoice)..that's a little bit more than a "at little cost increase"
Location: Lower Mainland BC Thanks for posting those John. Should be easy enough to make. Location: Whetstone, Arizona I'll get another photo tonight of it without the wires to see how the base is formed/shaped. Thanks for posting those John. Should be easy enough to make. How are you planning to do the rubber dipping process, or are you going to make them from plastic? I was thinking metal and rubber dipped. That said, I contacted Hot Hemi (heads) and asked if they sold them or if they knew who does. This would be perfect for a CNC plasma-cutter. (which I don't have). "Dave, I'm not familiar with that wire separator either, the ones we have are by Taylor and break down 4-3-2. I'm not sure who to tell you to check with honestly, post that same picture on the Forward look and see if anyone on there recognize them. Thanks, Eric"
"Someone on the Forward Look website has a new to him 1957 Dodge D500 with the 325 hemi engine. He has posted photos of wire "combs" that I have never seen before. I wondered whether you sell them or if you knew who did. See attached photos." So I guess we are on our own to make them or ?? I'll get another photo tonight of it without the wires to see how the base is formed/shaped. Randy: You might have forgotten about this. (I did until just now). Location: So. California Looks like the old saying that it'll buff out is true! Nice job, looks great and a D500 runner to boogie with. I never understood why people get a car and let it sit without doing anything with if for so many years. My '58 Coronet passed through 3-4 owners, each who had thoughts of fixing it up and enjoying it, but never actually did anything to it over the course of at least 25 yrs. I get it and put it together in less than a year and have been driving it around ever since by just fixing little stuff on the motor, along with brakes & tires (of course!). Makes me wonder what the hold up was for these previous owners. Looks like the old saying that it'll buff out is true! Nice job, looks great and a D500 runner to boogie with. Location: So. California Yeah, he started out very high, and finally ended up somewhere reasonable.